Design of an an interactive piece of creative for Endsleigh, to highlight the evolution of students through the last five decades. 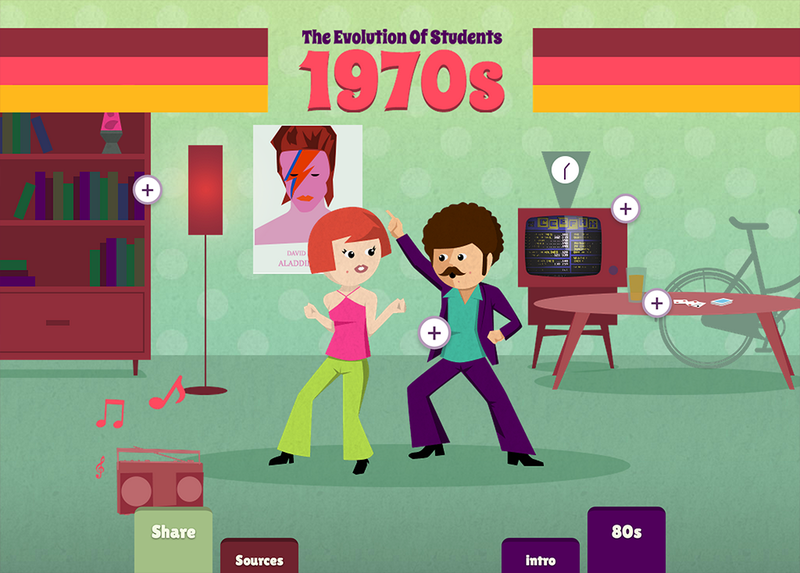 This project for Endsleigh aimed to highlight the evolution of UK students from the seventies through to modern day. 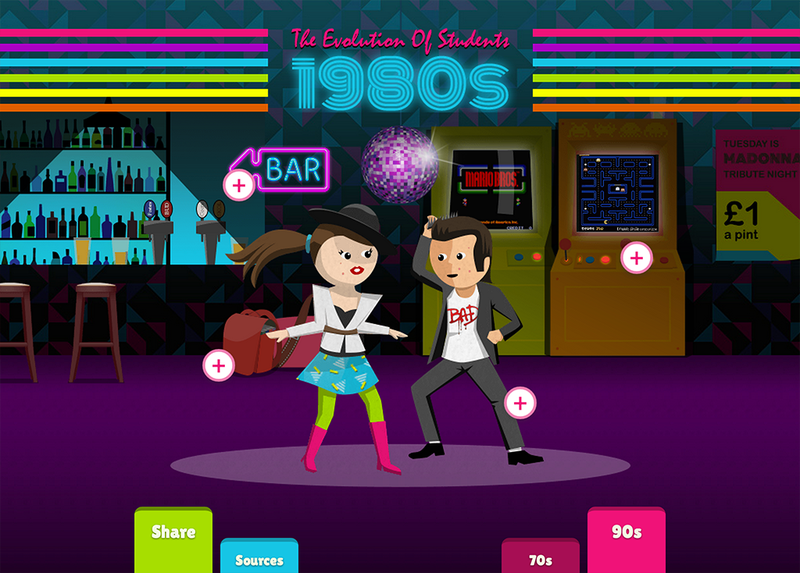 We demonstrated the changes in student life through the decades, leveraging music, fashion, technology and politics to create a visually stunning piece of interactive web content.